T.T.C. 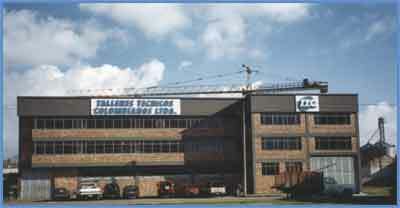 TALLERES TECNICOS COLOMBIANOS LTDA.® is a company created on May 21st of 1971 in Bogotá D.C. - Colombia - South America. From its beginnings it has been dedicated to the metal transformation, mainly the steel, in order to develop customised products based in specific necessities of our clients. In this way is how we have worked for the most important companies of our country, turning to us into a reliable and qualified supplier, within the businesses and products we handled.